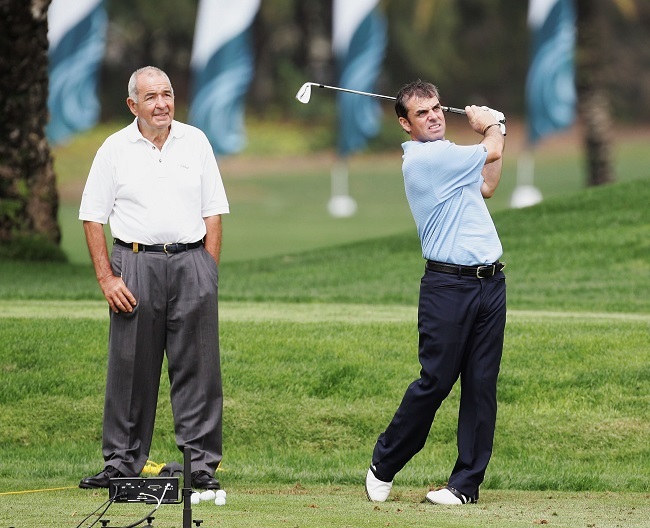 Paul McGinley has led the tributes to top Scottish golf coach Bob Torrance, who passed away yesterday at the age of 82. A mentor to many of European golf’s leading players - not least his own son, former Ryder Cup skipper Sam - Torrance died peacefully in his sleep after a battle with cancer. One of the game’s true characters, he was renowned for his love of Ben Hogan, his tireless work ethic – often standing on the range from dawn ‘til dusk - and his success in coaching Padraig Harrington to back-to-back Open victories in 2007 and 2008. Harrington’s fellow Irishman McGinley, Europe’s Ryder Cup captain for this year’s match, was another of those to have benefited from Torrance’ experience and guile. “This is an incredibly sad day as we have lost one of life’s, as well as one of golf’s, really true characters and my thoughts are obviously with June and Sam at this difficult time,” said McGinley, who was coached by Torrance for over 20 years. “I feel blessed to have known Bob for many years and to have had him as my coach since 1992. Not only was he a world class golf coach, a fact recognised right across the game, but he was also one of my very favourite people in life. I will dearly miss his teaching and his wit. Tributes soon poured in, with Ian Poulter taking to Twitter to say: “"Really sad news Bob Torrance just passed away. An amazing man who coached so many great players. He will be missed." Please leave your condolences or share your favourite memories of Bob Torrance in our ‘Comments’ section below.